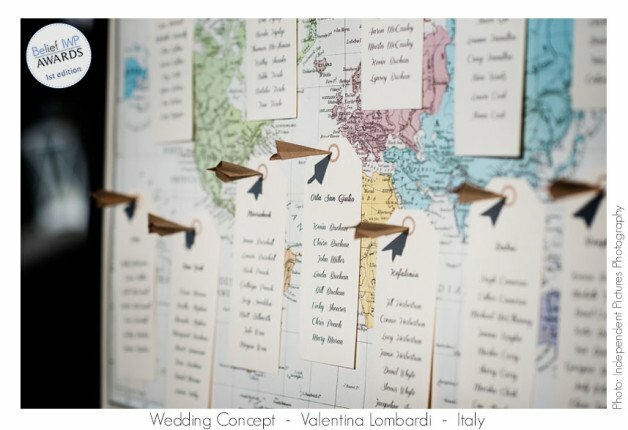 e are happy and very pleased to announce that one of our planners Valentina Lombardi has been awarded yesterday by Belief International Wedding Planners Association. Belief IWP recently launched a contest for the best 2015 season “Special Photo” and the best “Wedding Concept”. More than 160 planners joined the contest froma all around the world. Valentina submitted some of her works thanks to the help of skillful photographers Andrea Beretta and Francesco Portelli of Independent Pictures who are part of our Team too. 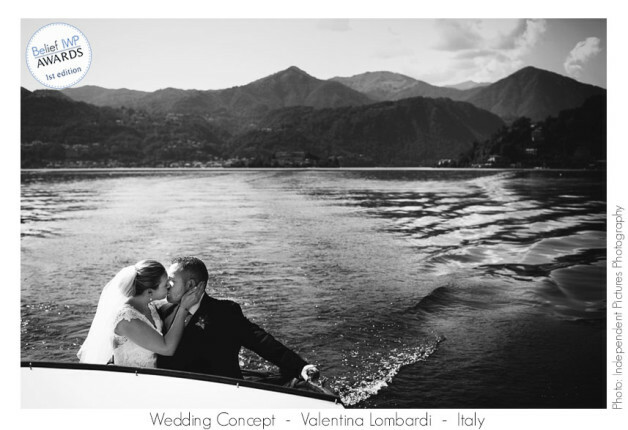 Valentina has been awarded for Special Photo thanks to a picture taken by Independent Pictures team in occasion of Kelly and Mark’s wedding on July 10th on Lake Maggiore . 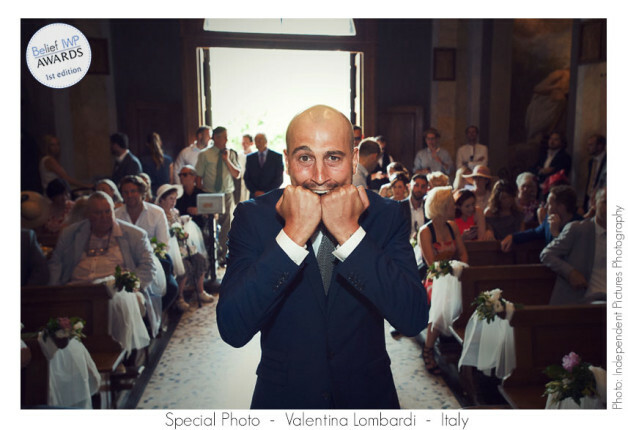 It is a fun picture of Mark waiting for her soon bride to be Kelly inside the wonderful pretty church of Isola Bella. Valentina has also been awarded for best “Wedding Concept” again thanks to wonderful photos by Independent Pictures team. Belief IWP Association asked for three photos to describe the atmosphere of a special wedding and they chose one of Valentina’s. The three photos awarded were taken in occasion of Claire and Kevin’s wedding on Lake Orta just the day before of Kelly and Mark’s wedding, the 9th July. Isn’t it funny? 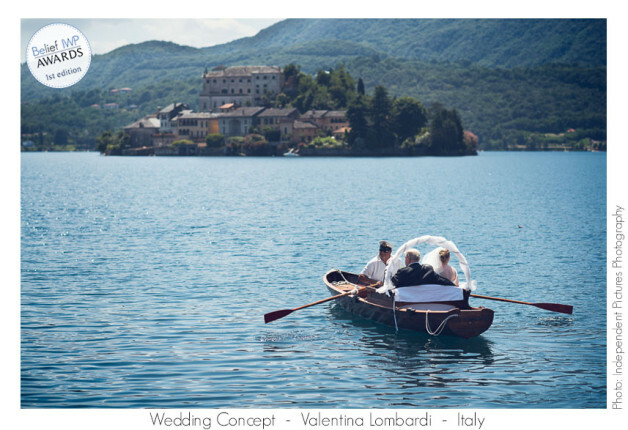 They perfectly describe the atmosphere of the day… the bride arriving by rowing boat to the civil ceremony at Villa Bossi, a romantic boat trip for the newly weds for some great shots and a travel themed table chart designed by our stationary designer Darena. You can see awarded photos here below, aren’t they just stunning? I’m really pleased for this award and I really want to say thank you to Belief IWP staff and board who voted for me. A very special thanks first of all to these two wonderful couples: Kelly and Mark and Clare and Kevin. They have both been wonderful! A very special thanks to Independent Pictures: Andrea and Francesco for these amazing shots. A special thanks to Darena our creative stationary designer, you can see her work in one of these photos. A big thanks to my colleague Ernesto who works with me in every wedding I plan so I share my success with him. Another big thanks to our webmaster Mauro who always give me the possibility to share our successes on our websites, to my Team and colleagues working on other Italian areas and to all professionals who worked with us on Kelly and Mark and Claire and Kevin’s weddings to create the fantastic unique atmosphere you can see in these photos. I love to think that this is a success not only for me but for all our team! Congratulations to Valentina and as she said to all our Italian Wedding Company Team!